Customers who already fighting body imperfections and struggling with their self-esteem usually realize that money is the major obstacle that prevents them from achieving their dream. After months and years of therapy, exercise and dieting everyone expects to have a turnover. Eventually the customer realizes that cosmetic surgery would have been a better option to start with. But again the price factor always makes them reconsider that move. However Dubai Cosmetic Surgery now has a solution for anyone seeking highly professional and safe cosmetic surgery. Usually extensive surgery comes at a hefty price. Dubai Cosmetic Surgery now provides customers with a smart plan to effectively minimize the money issue and bring the patient so much closer to achieving their image of beauty. The customer is required to be a credit card holder from one of either banks in order to receive a convenient financing plan. After filling in our free consultation form and setting up an appointment at our office, the customer will have to only swipe their card and go for the surgery. This is done after the customer has consulted their bank and agreed on a financing plan. Our patients will be notified of any updates or actions that they are undertaking. Once the surgery has been carried out then the financing will take place on a monthly basis of 3, 6, 9 or 12-month plan.  This means that there is 0% upfront payment and 0% interest on the credit card as opposed to what other companies do. 1. All purchases of AED 3,000 and above will be eligible for 0% EPP. 2. The tenure for 0% EPP bookings would be for 3, 6 and 9 months only. 1. 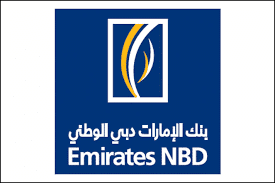 All purchases of AED 1,000 and above will be eligible for 0% EPP. 2. The tenure for 0% EPP bookings would be for 6 months only. Our main eligibility criteria is that the customer can go for this plan if their surgical costs are over 10,000 AED. Customers can place their financial worries at the back of their head since we take care of them before and after surgery. No up-front costs, no prepayment penalties and no annual fees. So sign up below for a free consultation and get in touch with one of our experts so we can better guide you, present you with our options and that your dream can be planned easily and achieved quickly at Dubai Cosmetic Surgery.